Beauty doesn’t automatically make you happy. Unfortunately. 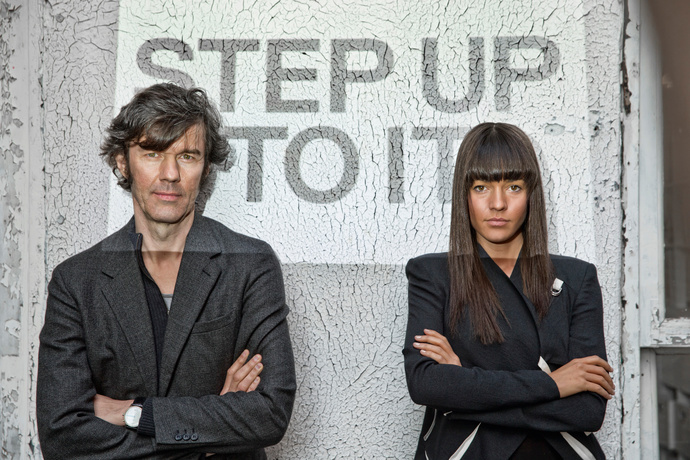 Stefan Sagmeister and Jessica Walsh’s new project on Beauty encompasses an exhibition that opened on October 23 at the Museum of Applied Arts in Vienna (and is scheduled to travel on to Frankfurt and other cities), as well as the publication of a book of the same name, To mark this event, Christian Daul, founder and managing partner at Field Creative Content, Frankfurt and a longtime associate of Lürzer’s Archive – since, in fact, way back in the days of the Lowe Lürzer agency – spoke to one of the most celebrated graphic designers at the NYC-based office of Sagmeister & Walsh. After the Happy project, you and Jessica have now moved on to the subject of beauty. What is the connection between happiness and beauty? There is a clear connection: we always feel more comfortable in beautiful surroundings. But beauty doesn’t automatically make you happy. Unfortunately. 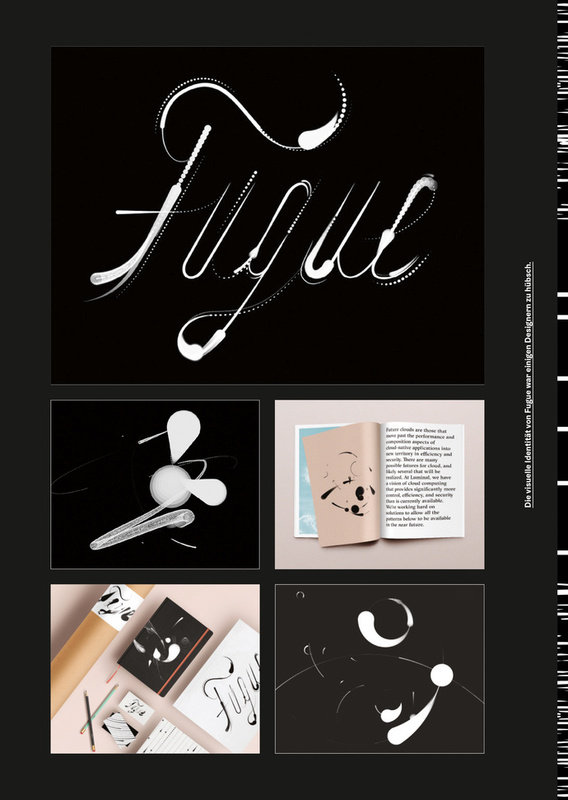 In your work as a designer, do you actively strive for beauty, or is it simply the end result if you have completed a design and are satisfied with a job? Our experience in the studio has taught us that whenever we take form very seriously and put a lot of love into beauty, the resulting work is much more successful. And we have since noticed this to be the case in many other examples too: All those functional 70s apartment blocks that had to be blown up again in the 90s because nobody wanted to live in them, they would have worked much better if beauty had been part of the goal during the planning phase. Do we today lack the time or attention for beauty? To create it, to observe it, to discover it? Fortunately, beauty also works subconsciously, as a kind of shortcut for our lazy brain. It allows the brain to save energy, not having to think and to be able to make decisions quickly. In your book, you talk about the natural laws of beauty, but isn’t the appreciation of beauty also subject to fashions and zeitgeist? How do you see this relationship? Actually, there is astonishing agreement worldwide as to what seems “beautiful” to us and what not. The ratio is about 50/50. Many of us consider those things beautiful that we already know well, that we are familiar with. And the context plays a big part in all of this: the more secure I feel, the more I can consider new, surprising things to be beautiful. There seems to be a certain contradiction between the laws of beauty and the way in which we are attracted to what is different or “other.” Scientific studies on the way we experience the beauty of faces have shown that a small imperfection might render beauty even greater. To what extent do you take this divergence into account? A study by the Viennese psychologist and aesthetics researcher Dr. Helmut Leder has shown that the majority of people prefer things that are symmetrical. Only experts prefer a slight asymmetry. But with human faces it can be a different affair because we all know faces so well. We are all experts in this field. However, in our project we are dealing not with human beauty, our focus is on the beauty created by humankind. The ideas of what is beautiful or not can differ according to whether you ask lay people or experts. What is considered beautiful by the lower classes might often be considered kitsch by the upper classes. The “Roaring Stag,” for example, or what in Germany is called “Gelsenkirchen Baroque.” Do we in fact live in class societies when it comes to the perception of beauty? Or is true beauty always classless? As I already said, what we know well, what we’re familiar with, plays an important role in all of this. Those who have seen only few paintings will like the “Roaring Stag” very much. Those who see a lot will find it hackneyed. One could also describe the criticism of too much functionalism and globalism in design as very contemporary and opportune. 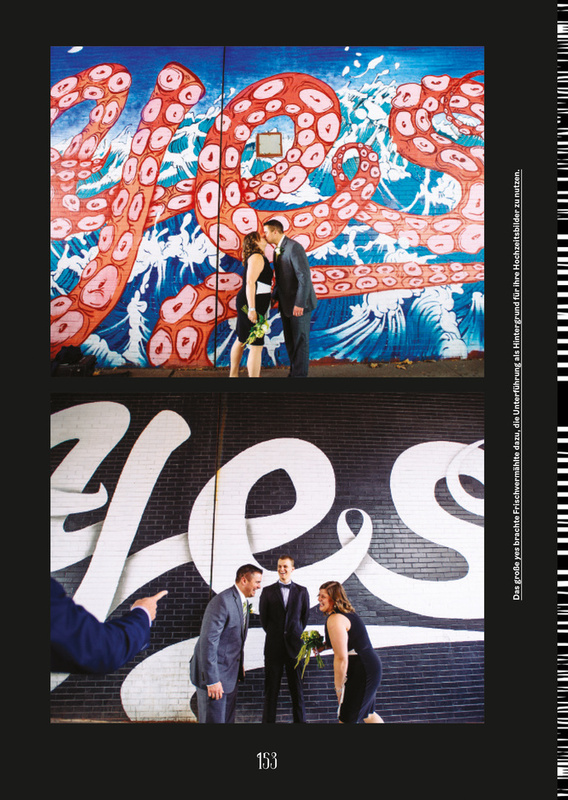 Isn’t the call for ornamentation, decoration, and local color also something rather retro and reactionary? I would describe functionalism, which is now over 100 years old, as reactionary (and most certainly boring). 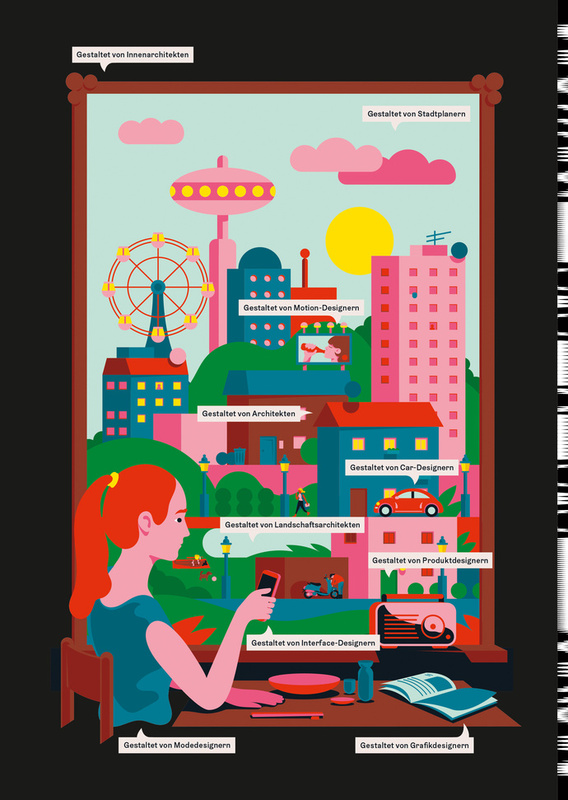 You criticize the fact that mobile websites are all so similar, and the lack of individual beauty in the digital sphere. Doesn’t the “scientification” in UX design create design standards in which beauty is made to take a backseat to functionality? Yes, that is indeed the case. And wherever it might be, in the haptic or in the digital, inhuman (in the true sense of the word) places emerge. I believe that one reason for the fact that many people behave so nastily on Twitter is the sheer functionality of this platform. On Instagram, where beauty plays a bigger role, people behave better. We’re currently seeing how automation and artificial intelligence are also making headway in the area of design. If beauty is defined by algorithms, isn’t there the risk of beauty being given a very narrow interpretation? Are we threatened, as we are in biology, by the extinction of many species – in this case, different species of beauty? I think that would depend on the quality of the algorithms. Nature has collaborated with algorithmic principles and managed to produce a lot of beauty. Do you see a role for brands and brand communication in the renaissance of beauty? Yes, indeed I do! The aforementioned Dr. Helmut Leder is an advocate of the theory that beauty is a shortcut for the brain, enabling it to make decisions as quickly as possible, and without expending too much energy. If he is right, then all packaging would have to be designed with the set goal of beauty in mind. It is easy to see that this is not the case at the moment: Most people would not call the collected items on display in a typical supermarket “beautiful.” I don’t know of any packaging design company that talks openly about beauty with its customers. That needs to change. Brutalism in architecture is currently being feted in a big way, and there are even movements demanding the preservation of buildings which, just a few years ago, were still regarded as eyesores, ugly blots on the landscape that needed to be torn down. The Barbican, for example, has long had a cult following in London. Can you explain such a shift in perceptions? Can you also make things appear beautiful just by talking about or looking at them enough? We can also describe beauty as a “formal intention,” including the ugly. We like the intentionally ugly, we appreciate it very much. Most of everything that is ugly in this world is not ugly because someone wanted it that way; it is ugly because someone didn’t care. And the brutalists took form VERY seriously indeed. There was nothing they did not care about. Your architectural examples, such as the High Line or Grand Central Station, show that beauty can actually improve the world. Why is this not appreciated enough, and why isn’t it consciously made use of? Because many people are not simply aware of it. That’s why we’re doing the exhibition and the book. There is a nice Oscar Wilde aphorism: “Everything is going to be fine in the end. If it’s not fine, it’s not the end.” According to this definition, many things that are not beautiful simply have not yet been brought to a conclusion, have not yet been completed. Do we sometimes give up too early? An example: A motorway exit works wonderfully, it is the perfectly curving slip road on which to leave an expressway, but it’s not beautiful. Most people agree that these exits are not beautiful, so nobody spends their holidays there. There are no hotels under motorway exits. But that could change if such exits were designed with love and care. Or, to put it in Oscar Wilde’s terms, today’s motorway exits have not yet been completed. While on the subject of motorways, let’s talk about beauty on four wheels. Is there anything in the field of automotive design that especially appeals to you? The Jaguar E-Type is the most beautiful car for me. Enzo Ferrari sees it that way too. The round shape is one of the universal beauty features of automobiles. That’s why there is no brand that has followed Cadillac into the square and angular direction. What do you yourself find more beautiful: nature or human works? I like both: I can have a “beauty experience” in the Austrian Alps or when standing in front of the New York skyline. It took Nature 300 million years to create the Alps, the New Yorkers built their skyline in 300 years. Could beauty in general also be taken as a proof of the existence of higher powers? Hmmmm. Evolution has produced many beautiful things. Theoretically, therefore, it also works without the need for higher powers. 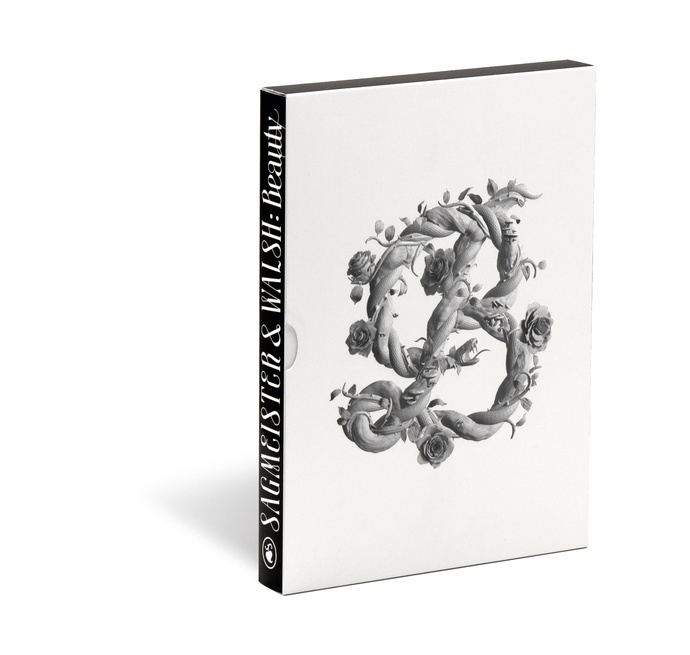 Hardcover of the book Beauty by Sagmeister & Walsh. 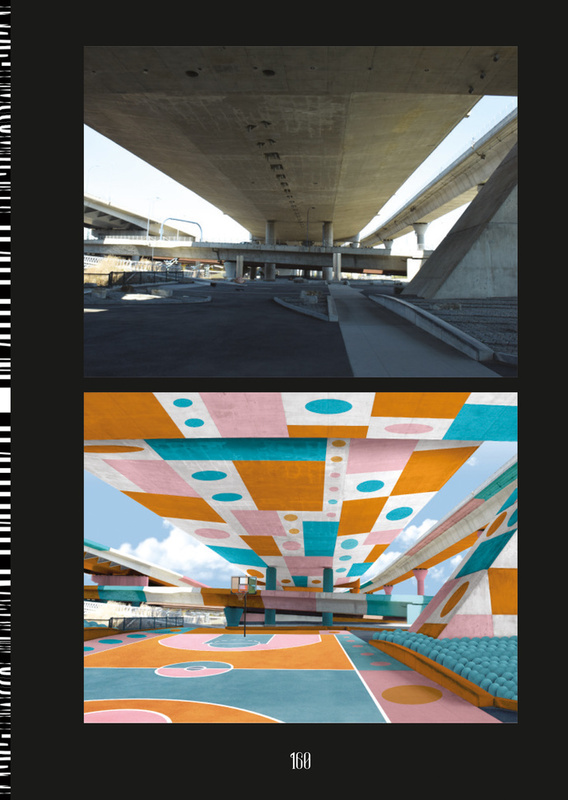 Images from projects made by Sagmeister & Walsh featured in their latest book, Beauty. 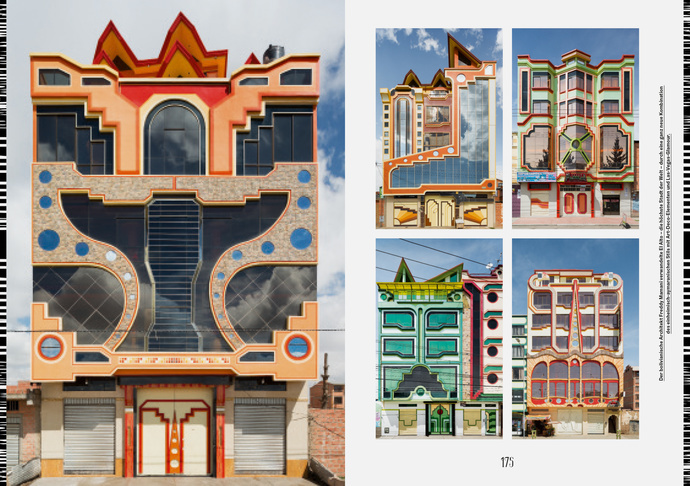 Buildings in El Alto designed by Bolivian architect Freddy Mamany. 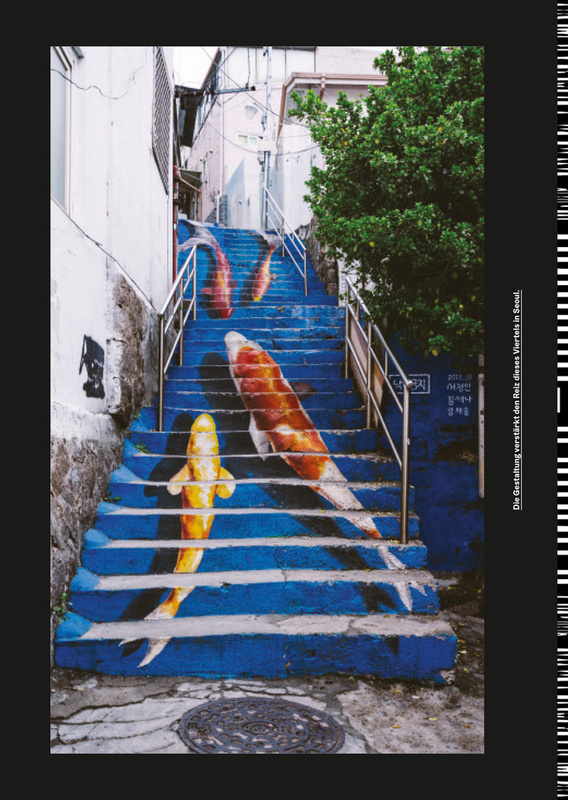 Top right: A staircase designed to enhance the charm of this district in Seoul. 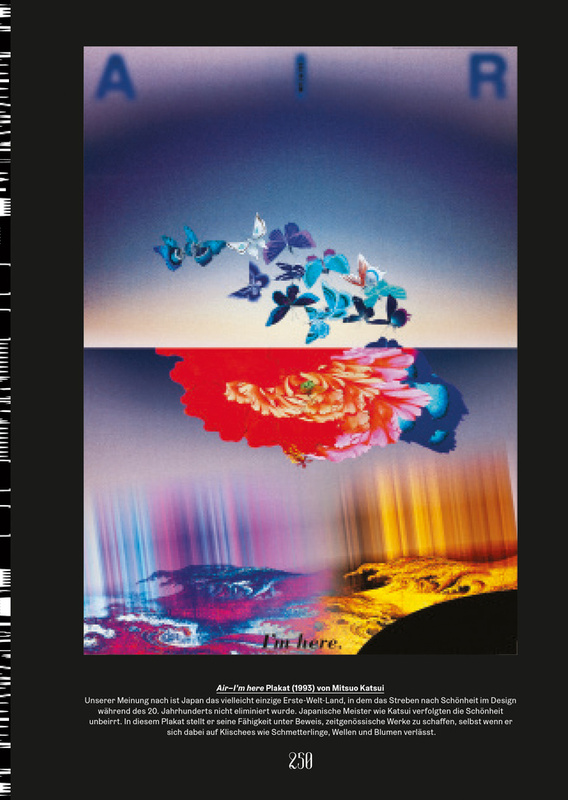 ‘I’m here – AIR’ by Mitsuo Katsui, which despite using clichee elements like butterflies and flowers, still manages to be an incredible piece of contemporary art. 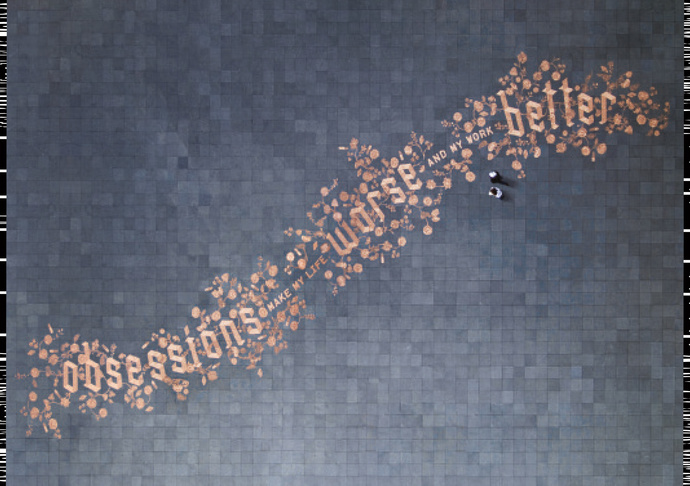 Shot from a project in which S&W took the entire budget and switched it into cent coins, which they then laid out beautifully in a square in Amsterdam, saying “Obssessions make my life worse and my work better”. The project was subsequently interrupted when pedestrains tried to carry away as many coins as possible, prompting the police to remove the coins. 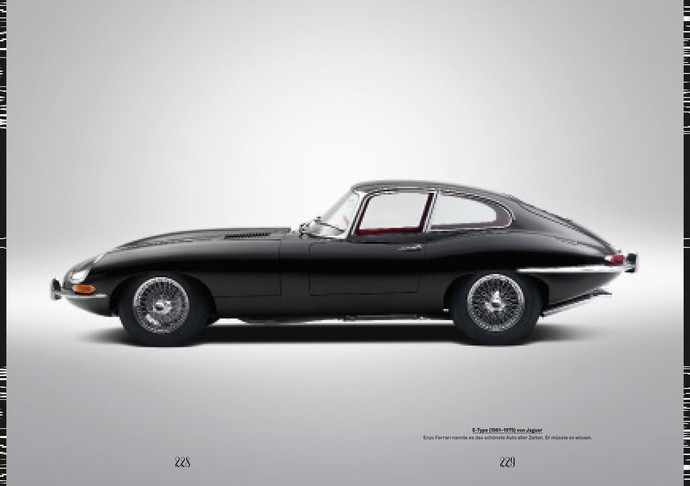 The E-Type Jaguar (1961-1975), which Enzo Ferrari called the most beautiful car of all times. An imaginative design made to transform this open space.